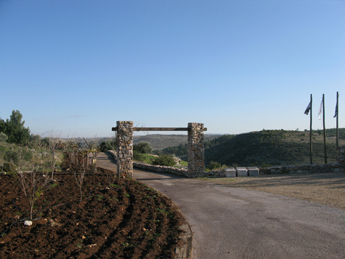 Neot Kedumim has reserved ancient terraces in its ‘Grove of Seven Species’ upon which 500, individually numbered olive saplings will be planted. 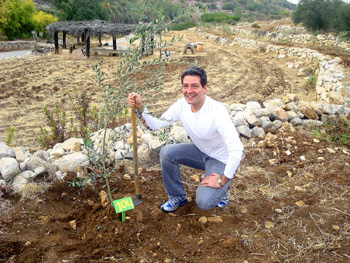 Neot Kedumim offers you the opportunity to mark the milestones in the lives of your family and friends, by dedicating an olive tree that will be planted in their honor and can grow with them and will forever be their dedicated tree. Olive trees can be dedicated to celebrate a marriage, the birth of a child, a wedding or bar/bat mitzvah, and of course to remember a loved one now departed. We will proudly provide you with a personalized, parchment certificate suitable for framing to commemorate the dedication. 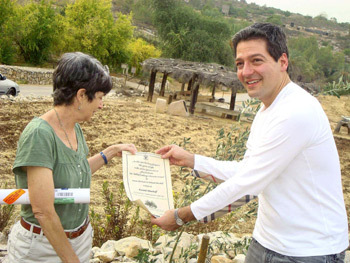 Neot Kedumim, the Biblical Landscape Reserve in Israel, has completed a ceremonial tree planting center of the JNF-USA, the first of its kind in Israel. 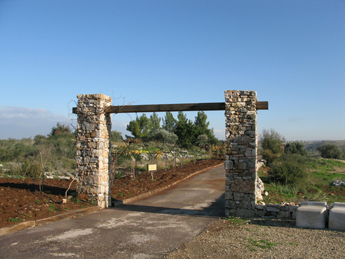 The planting center is located on one of Neot Kedumim’s hilltops, with a vineyard and tall preserved stone watchtower with breathtaking views of Samarian Hills on one side, and the skyline of Tel Aviv and the Costal Plain on the other.